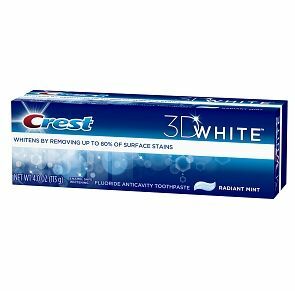 Home > Printable Coupons > Crest Toothpaste Coupon: Only 50¢ at Walgreens! Crest Toothpaste Coupon: Only 50¢ at Walgreens! Here is a Crest toothpaste coupon that will make a nice deal starting Sunday at Walgreens. Get Crest 3D White or ProHealth toothpaste for just 50¢ after Register Reward and the coupon below! Check out the rest of the Walgreens deals starting Sunday!